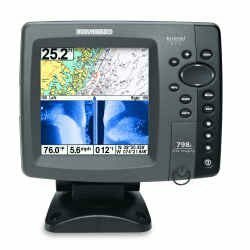 Humminbird Helix 9 Chirp Di Gps G2n Combo The 967c 3D Combo features a brilliant color, wide-screen 480V x 800H 8" display, 3D PLUS sonar with 8000 Watts PTP power output, GPS Chartplotting with built-in UniMap, and advanced Fishing System capabilities. Includes unit cover. Maximize your angling experience with the Humminbird 967c 3D Combo fishfinder GPS system. 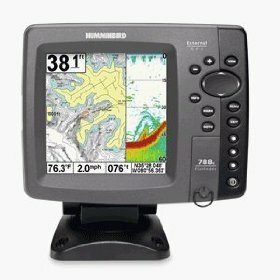 Humminbird Humminbird 917C Combo W/O Transducer The 917c Combo features a brilliant color, wide-screen 480V x 800H 7" display, DualBeam PLUS sonar with 4000 Watts PTP power output, GPS Chartplotting with built-in UniMap, and advanced Fishing System capabilities. Includes unit cover. Maximize your angling experience with the Humminbird 917c Combo fishfinder GPS system. 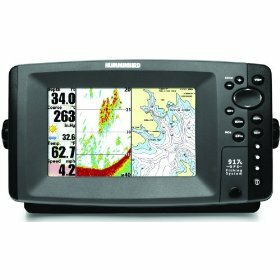 Humminbird 798ci SI Combo with Internal GPS and Preloaded with Navionics Gold and HotMaps The new 798ci SI Combo NVB features a brilliant color, ultra-high resolution 640V x 640H 5" display, Side Imaging and DualBeam PLUS sonar with 4000 Watts PTP power output, GPS Chartplotting and advanced Fishing System capabilities. In addition, it includes dual card slots for maps and saving waypoints, as well as 3 programmable preset buttons to save your favorite views.Includes Navionics Gold and HotMaps Premium Charts pre-loaded. Humminbird 788ci Color Fishfinder Combo with Internal GPS The new 788ci Combo features a brilliant color, ultra-high resolution 640V x 640H 5" display, DualBeam PLUS sonar with 4000 Watts PTP power output, GPS Chartplotting with the Navionics Value Bundle, and advanced Fishing System capabilities. In addition, it includes dual card slots for maps and saving waypoints, as well as 3 programmable preset buttons to save your favorite views. Maximize your angling experience with the Humminbird 788ci Combo NVB fishfinder GPS system. 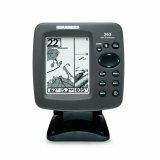 Humminbird 383c Combo Fish Finder and GPS Chartplotter The 383c Combo features a brilliant color 320V x 240H 3.5" display, advanced DualBeam PLUS sonar with 2400 Watts PTP power output, and GPS Chartplotting with built-in UniMap. Maximize your angling experience with the Humminbird 383c Combo fishfinder GPS system. 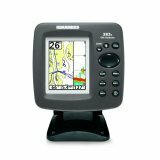 Humminbird 363 Combo Color Fish Finder and GPS Chartplotter The 363 Combo features a high resolution 16 level grayscale 320V x 240H 4" display, DualBeam PLUS sonar with 2400 Watts PTP power output, and GPS Chartplotting with built-in UniMap. Maximize your angling experience with the Humminbird 363 Combo fishfinder GPS system.